As if Christmas wasn’t Frenzy enough! Just to add to your Christmas frenzy, Stampin’Up! have release the above specials. 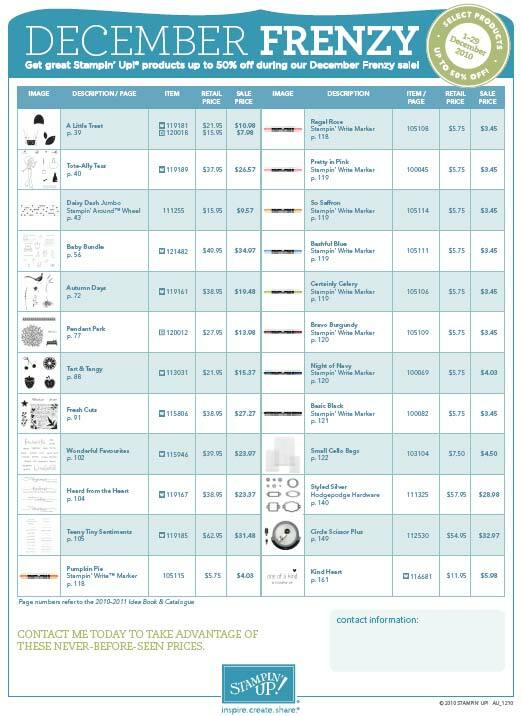 Fabulous prices on Fabulous products. Just in time to stuff some stockings of your Crafty Friends or perhaps treat yourself to some pre-Christmas crafting love. Why not???? 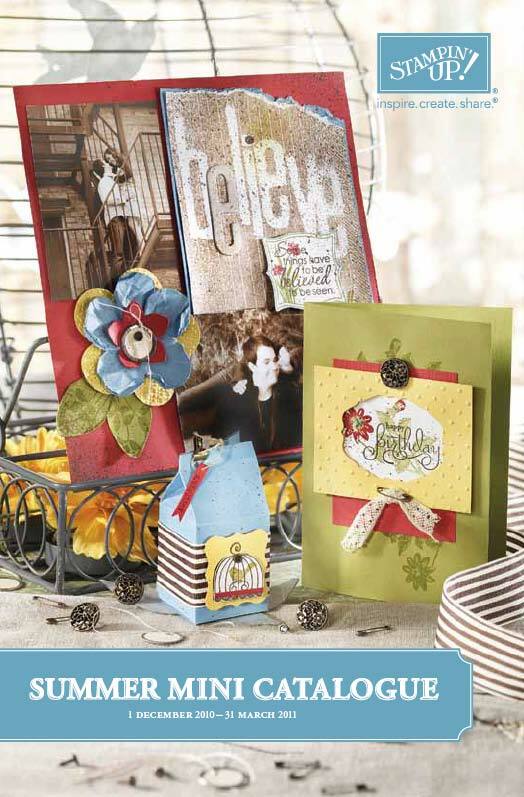 Released today is the new Summer Mini Catalogue. If you don’t have your copy just contact me (email or phone) and I’ll post/deliver one to you right away. It’s chock full of the yummiest products. Hmmm! wait until you see the DSP and smooch spritzers which lurk inside this baby. Why not have your family contact me for a gift voucher for you to pop under the tree. Can’t beat a Stampin’Up! Christmas I say.